Would people worldwide enjoy beer as much as they do if there was no variety? If all that was available was only a single type of beer, would it still be consumed at the rate it is? The answer is most likely no, and for good reason. People love choices, and eventually, too much of even a good thing can get old. That being said, there are numerous styles of beer to choose from and happily so. Out on a hot summer’s day enjoying the sun I would rather not drink a Stout Guinness as it would be far too heavy. Rather, I would prefer something lighter, crisper, and more refreshing. This is where a cold refreshing Pale Lager such as a Corona comes in handy. Just as you would see in commercials, there is literally a beer for every occasion, and at times, the right beer in hand can actually make an occasion better. But how would a person choose the appropriate beer if they did not know their options to choose from? The beer world is wide, diverse, and sadly, a little convoluted. The process and refinement of beer has brought it to the point that it is toiled over as much as wine in its creation, essentially elevating it to the level of an art form. And when anything reaches the level to be considered an art, understanding it inevitably becomes more difficult. Rather than judging a beer based simply on taste such as the basic “good or bad”, beer is measured through a variety of factors which were created because well, the beer itself has become more complicated. As such, the means by which they are measured have become complicated as well. 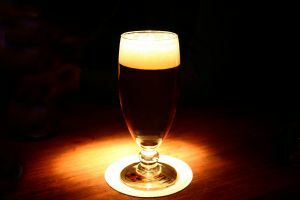 Between the palate feel, aroma, overtone, gravity, and any other number of measurements, it seems you would have to do your fair share of homework before you could truly judge the quality of a beer. That said, and for the beginner, it would probably behoove any upcoming beer enthusiast to know, or at least become familiar with, the various styles of beer available. This may seem simple enough, but the sheer quantity of beer types out there is staggering. So for our purposes, we are going to go through the ones most commonly found. At least in this way, you can be equipped with enough knowledge to know what the name of a beer means for its overall taste. Because in the end, that’s really all that matters for most drinkers right? So without further ado, let’s get into the many and wondrous styles of beer. Amber Ale: (Average ABV: 4 – 7%) Amber Ale is amber in color and generally focuses on the taste of the malts, but the taste of the hops can often strongly stand out depending on the brewer. Amber Ale is considered a medium beer. Blonde Ale: (Average ABV: 4 – 7%) Blonde Ale is a vibrant golden color and is often an all malt brew. Frequently these beers will include fruit flavors as they pair well, and many times the beer will have a slight bitterness. Blonde Ale is considered a light beer. Brown Ale: (Average ABV: 4 – 8%) Brown Ale is darker brown in color and ingrediants often include coffee and nuts. The bitterness of the beer can have a wide range and the same holds true for the hoppy flavor. Brown Ale is considered a heavy beer. American Indian Pale Ale: (Average ABV: 5.5 – 7.5%) American IPA differs from normal IPA in that it is often more flavorful and less bitter. It generally ranges from a golden to reddish color. Often times herbal and fruit flavors are included giving this beer a well-balanced taste. American IPA is considered a medium beer. Pale Ale: (Average ABV: 4.0 – 7.0%) Pale Ale often has a perfect balance of malts and hops. Often times fruit flavor is added which determines whether the beers bitterness will range from light to pungent. The color of an Pale Ale is generally a light golden color and is considered a medium beer. Porter:(Average ABV: 4.0 – 7.5%) Porters generally have a lot of hoppy flavors and often include smoked malts. Additionally, other burnt flavors are often present including coffee and chocolate. The bitterness is usually well balanced due to other ingredients. Porters are considered a heavy beer. Stout:(Average ABV: 4.0 – 7.0%) Stouts are highly hoppy and often include the same ingredient types as Porters. Though often times, Stouts are aged in Bourbon and Whiskey Barrels giving it a very unique taste. Stouts are considered a heavy beer. Tripel Ale: (Average ABV: 8.0 – 12.0%) Tripel Ales use up to three times the malt of standard ales, hence the name tripel, a play off of triple. Tripel Ales are generally yellow to a deep golden color. This beer often has a sweet overtone, which compliments well the strong taste of alcohol. The bitterness is moderate at best. Tripel Ales are considered a medium beer. Oatmeal Stouts: (Average ABV: 4.0 – 7.0%) Oatmeal Stouts full bodied beers with a generally uncommon smoothness which results from the additional oats added to the mash. As far as Stouts go, this beer has a mouth feel and sweetness uncommon amongst other stouts. Oatmeal Stouts are considered heavy beers. Russian Imperial Stout: (Average ABV: 8.0 – 12.0%) Russian Imperial Stout is often considered the king of stouts, mainly because the brew was originally devised to impress the Russian Czar in the 1800’s. But this high alcohol and malt beer has large overtones of roasted ingredients including chocolate and nuts. The bitterness can range from nothing to over the top. Russian Imperial Stouts are considered a heavy beer. Red Lager: (Average ABV: 4.0 – 6.0%) Red Lager is much less bitter than Red Ales, and has a very strong malt flavor. This beer is mostly a deep red to amber color and is considered a medium beer. Imperial Pilsner Lager: (Average ABV: 6.5 – 9.0%) Imperial Pilsners have a very strong bitterness flavor with a large overtone of malt. Often time’s spicy ingredients are added to combat the bitterness, giving it a unique and interesting taste. Imperial Pilsners are considered a heavy beer. Malt Liquor Lager: (Average ABV: 6.5 – 9.0%) Malt Liquor is notorious for being sold in the typical 40 oz. bottle. It is often a light amber color and there are usually a multitude of ingredients added in including corn, rice, and refined sugars. This beer is generally dry in taste and has odd overall flavors. This is due to the low volume of hops used, and the abundance of fusel alcohol that is often used. Malt Liquor is considered a heavy beer. Pale Lager: (Average ABV: 4.0 – 6.0%) Pale Lager is made mainly without the inclusion of rice and corn making this an all malt beer. It is generally a light yellow or soft golden color and has a very strong flavor of malt and a pungent bitterness. Pale Lager is considered a medium beer. The author of this piece is Damien Wilhelmi and writer for LiquorMart.com. If you enjoyed this piece, you can follow me on Twitter @CustParadigm. When I’m not writing about beer, I can usually be found drinking it. I usually check online for unique and intersting beers I haven’t tried, which there are a lot of. You never know what you’ll come across, but typically it’s always a pleasant surprise. Understanding Your Credit Rating A Brief Guide To Edwardian Interior Design Understanding Your Baby’s Cries Different Types of Teas and Health Benefits A Travelers’ Guide to Punjab!